3. Display - 6.39" Super AMOLED display, brightness, contrast, color temperature, sRGB coverage, etc. Xiaomi's yearly flagship device has been highly anticipated and the manufacturer has been so happy with its creation it teased it regularly and actually left nothing in secret prior to the official unveiling of the model. Xiaomi Mi 9 seems to be everything the audience has expected and even more. Once again Xiaomi proved its ability to create a flagship smartphone for half the price of other flagships. The Mi 9 is, indeed, an epitome of excellent quality-price ratio. That's in general. 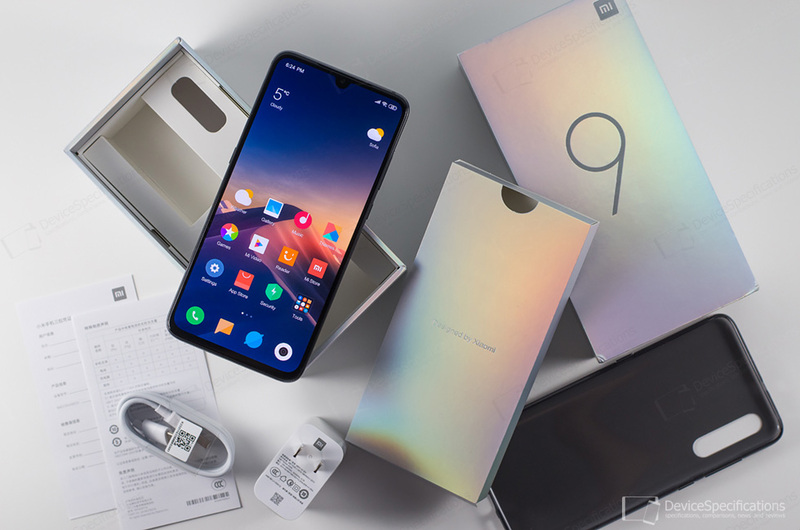 If you like to delve into detail, do read on our in-depth review of Xiaomi Mi 9, in which we cover the display and its qualities, the battery life tests, chipset performance, camera features with photo and video samples, audio quality test, detailed software overview. Before that, let's check the model's specifications and what's in the box. 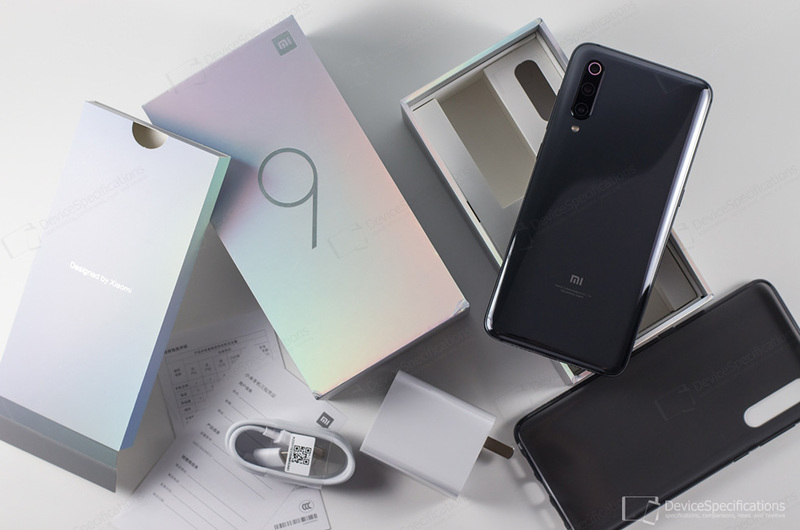 You can buy a Xiaomi Mi 9 at promotional prices from GearBest. Xiaomi Mi 9 is equipped with a 6.39-inch Super AMOLED display from Samsung. The panel has a resolution of 1080 x 2340 pixels and a 19.5:9 aspect ratio. The manufacturer-specified contrast ratio is 60000:1 and the typical brightness is 430 cd/m2. The peak brightness is specified as being 600 cd/m2. The unit supports HDR10, AOD, and covers 103.8% of the NTSC colour space. There's a fifth-generation optical fingerprint sensor under the display, while the waterdrop notch above the screen houses a customized micro selfie camera with a 20MP sensor. The whole front is covered with a 2.5D curved Corning Gorilla Glass 6. A 3D curved Gorilla Glass 6 covers the back as well. It has undergone a special treatment to provide the holographic colour effect of the back panel which has a triple camera module in its top left corner. The module is covered with sapphire glass and includes a 48MP Sony IMX586 primary shooter paired with an f/1.75, 6-element lens. There's a 12MP Samsung S5K3M5 camera with an f/2.2, 6-element lens. It offers 2x optical zoom and 10x digital zoom. Finally, there's a 16MP SONY IMX481 shooter with a super-wide lens suitable for macro shooting. It has an f/2.2 lens with 6-elements. Every camera has laser focus, phase focus and contrast focus plus a closed-loop motor. Xiaomi Mi 9 is based on a Snapdragon 855 chipset paired with 6GB/8GB of LPDDR4X RAM clocked at 2133MHz and 128GB of UFS 2.1 storage. 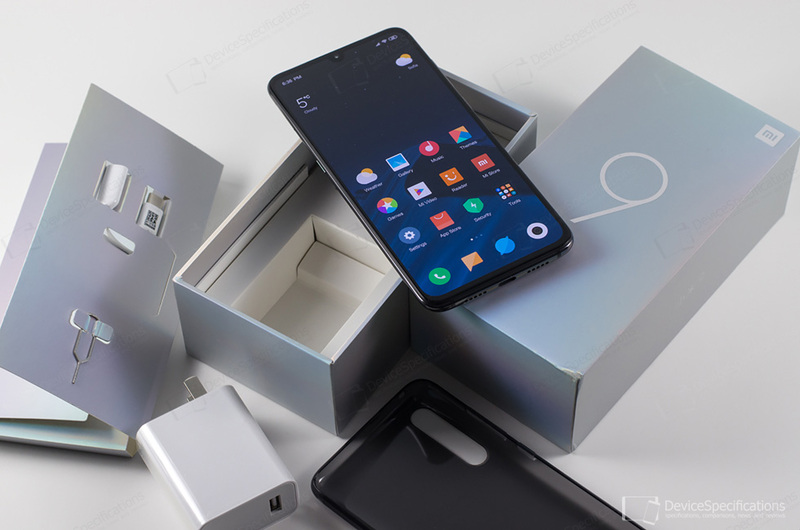 The connectivity options of Mi 9 are quite extensive and include support for Bluetooth 5, Wi-Fi Hotspot, Wi-Fi Direct, Wi-Fi Display, dual-band Wi-Fi a/b/g/n/c with 2x2 MiMO. The model supports dual-4G and VoLTE with the following network bands: 2G GSM (850, 900, 1800, 1900 MHz), 2.5G CDMA 800 MHz, 3G W-CDMA (850, 900, 1700 1900, 2100 MHz), 3G TD-SCDMA (1900, 2000 MHz), 4G LTE (700 MHz Class 17, 800, 850, 900, 1700/2100, 1800, 1900, 2100, 2600 MHz), and LTE-TDD (B12, B28, B38, B39, B40, B41). There are an infrared port and a USB Type-C 2.0 with OTG support onboard as well. The handset supports NFC, A-GPS, GPS (L1+L5), GLONASS (L1), BeiDou (B1), Galileo (E1+E5a). The Mi 9 runs on MIUI 10.2 which introduces for the first time Mi Turbo, Game Turbo, colour AOD and Dark Mode. Complete Xiaomi Mi 9 specifications.